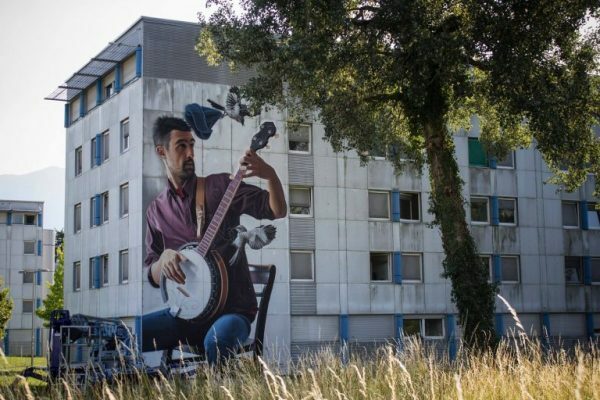 The Croatian artist Lonac just finished his latest mural in Grenoble, France. 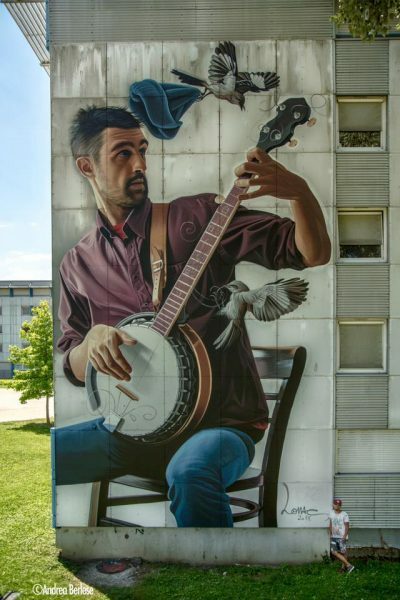 This work of art is a hyper-realistic painting of his friend playing an instrument, the benjo, while getting mocked by so called „mockingbirds“. 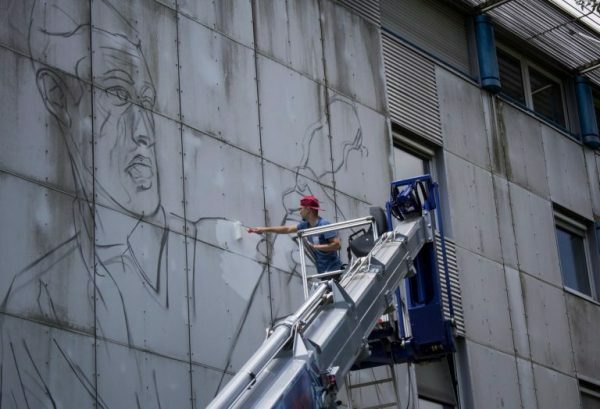 The mural is placed directly on the grey facade – using all the space in a good composition. 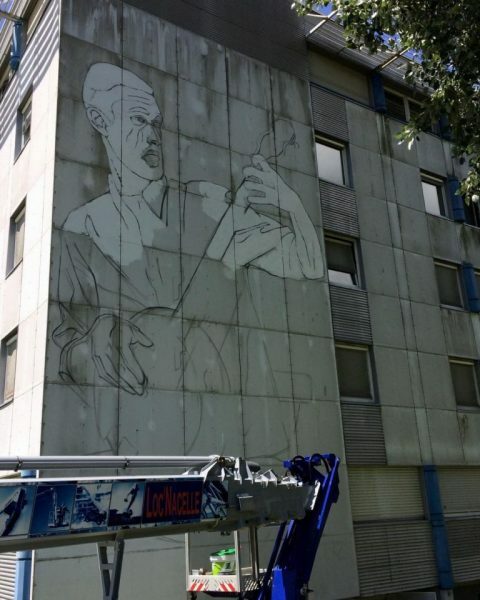 It is a nicely spray painted oversized guy in a great contrast to the raw concrete. Lonacs technique is magnificent – archiving a humorous, almost surrealistic feeling. His hyper realistic style is influenced by classical art – taking it almost to perfection. 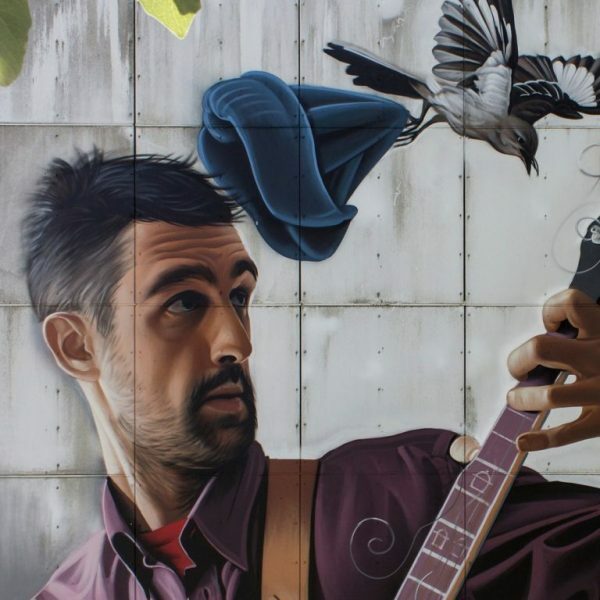 His murals look like photos – combined with a poetic sense. He gets his ideas from his personal memories, passions and observations – influenced by skateboarding, cartoon, music and movies. Veröffentlicht in Drawings, Festivals, Graffiti, Murals, Paintings, street art, urban artGetaggt mit France, graffiti, murals, outdoor, painting, spraypaint, streetart, urban artBookmark the permalink.